There are two processes, both all-natural, to make a tea decaffeinated. 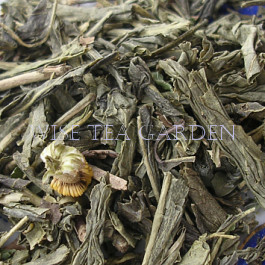 The tea can be flushed with carbon dioxide to gently remove caffeine, or the tea is decaffeinated in the green stage immediately after plucking. Processed without chemicals, these teas retain all the depth and flavour of their caffeinated analogues. All our decaffeinated teas are processed using the patented Canadian Chemical Free CO2 process and thoroughly scrutinized to ensure that they stand up to Canadian Quality specifications. The advantage of this, kind to the environment, decaffeination process is that no chemical solvents are used to remove the caffeine. The process is reliable, has low environmental impact and most of the tea character remains intact. Using the naturally occurring CO2 in a circulation process, which carefully uses high pressure and temperature to extract the caffeine, the origin distinct character of the tea is retained in the cup - it leaves none of the chemical flavor residue associated with chemically decaffeinated teas. Base teas: Please be advised that only high-altitude grown Ceylon teas are used as the base for Decaf Black teas, and Sencha-Leaf teas for Decaf Green. Mostly, because Ceylons retain their character under CO2 decaffeination processes much better than other teas. Shelf life of nitrogen-flashed and vacuum sealed packs: 20-22 years. Black Currant is also known as Cassis, which is a very popular beverage in Europe. 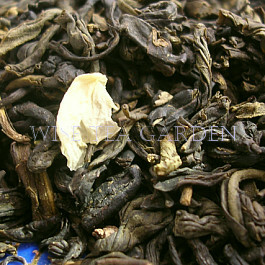 Cup Characteristics: Very aromatic with deep black currant aroma and flavor. Natural flavours do not leave an aftertaste and gives the tea a clean and true character. 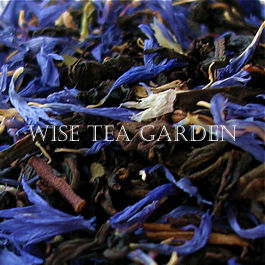 Ingredients: Decaffeinated Black Tea, Blackberry Leaves, Cornflower Petals, and Natural flavours. Infusion: Bright and coppery. Cup Characteristics: A full flavoury cup of tea tending bright with excellent Earl Grey notes from natural oil of bergamot. High grown Ceylon tea is used as the base since it retain its character under CO2 decaffeination much better than other teas. 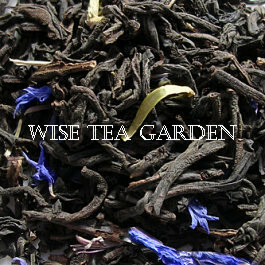 Ingredients: Decaffeinated Black Tea, Natural flavours. * A scented tea, no flavours added. Infusion: Tending bright with coppery notes. Cup Characteristics: Decaf Jasmine Green delights with subtle grassy notes offset by lush, compelling jasmine. The jasmine notes are perfumy and full floral. A scented tea, no flavours added. Note: Profile may vary from batch to batch. Ingredients: Decaffeinated Green Tea + Jasmine Petals *Depends on a batch. Infusion: Pale green liquor. Cup Characteristics: A delicious mixture of vanilla and grenadine: sweet and toasty with a touch of dryness and a subtle bouquet. Originally, it is believed that this blend was developed by monks to support their life's desires. The character of the decaf Monk''s Blends is slightly different from the original blend due to the CO2 process, but the end result is an uncompromising cup of tea with no chemicals in its brew. 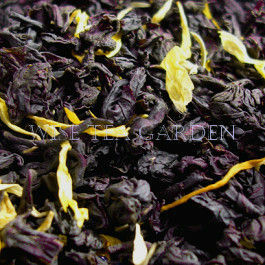 Ingredients: Decaffeinated Black Tea, Sunflower + Calendula Petals, Natural flavours. Infusion: Tending bright with coppery notes. Cup Characteristics: Superb mildly pungent mint character come immediately to the fore. A smooth and sweet finish. Ingredients: Decaffeinated Green Tea, Peppermint Leaves, Camomile Blossoms. Infusion: Bright and green. Cup Characteristics: Smooth delicious character with superb orange flavour that is enhanced with spicy cinnamon notes. 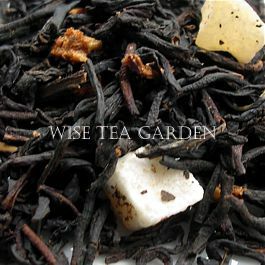 With ice this tea is a refreshing fragrant drink with an exquisite flavour. High grown Ceylon tea is used as the base since it retain its character under CO2 decaffeination much better than other teas. 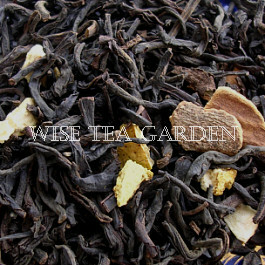 Ingredients: Decaffeinated Black Tea, Cinnamon Bark, Orange Pieces, Natural flavour. Infusion: Tending bright with coppery notes. 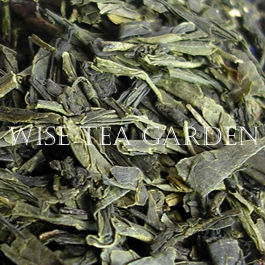 Cup Characteristics: Good green tea flavor, with longish sencha leaf style. All the goodness of green tea without the caffeine. Ingredients: Decaffeinated Green Tea. Infusion: Tending bright amber. Sendai is a city of about 1 million located in Japan's North-East region. This city is a home of the annual Tanabata festival that celebrates the meeting of the princess Orihime - a daughter of the Sky King, and her beloved Hikobos - a cowherd. The Tanabata festival is very romantic, and it is also a good place for drinking tea. 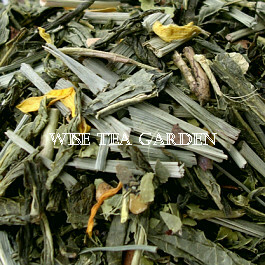 Cup Characteristics: Lively and refreshing, fabulous blend of green tea and lemon. When iced - it becomes an exceptional drink with the light and fresh taste. Ingredients: Decaffeinated Green Tea, Lemon Pieces, Lemongrass + Lime Leaves, Sunflower + Calendula Petals. Infusion: Bright and green. Extremely aromatic and full bodied tea. You are in the middle of a strawberry field at late spring. Have a strawberry dream today! Cup Characteristics: Tending astringent with a good fresh strawberry flavour. 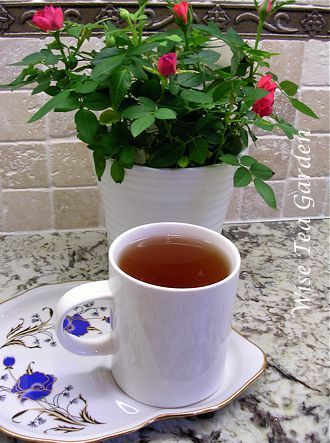 A lovely tea that can be enjoyed with shortcake pastries. High grown Ceylon tea is used as the base since it retain its character under CO2 decaffeination much better than other teas. Ingredients: Decaffeinated Black Tea, Papaya + Strawberry Pieces, Natural flavour. Infusion: Tending bright with coppery notes.